Autoflowering Seeds | Buy Cannabis Seeds that do all the Hard Work! Who doesn't? Today's fully autoflowering genetics combine the best of both worlds in one, sleek package. World-class breeders like Bomb Seeds & The Joint Doctor have unlocked the secret formula to create AutoFems with extreme speed & ease paired with top-rated THC, maximum yields & intense, full-bodied flavour - plus the effects are killer! 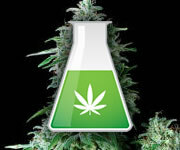 Get Your AutoFlowering Seeds Now! The Best Way to Start! 6 Week Finish in the Heat of Summer! Bulk Smash Auto does best in the heat of summer with lots of CO2 yielding up to 750 gr/m2 inside in under 2 months. Is it June yet? Hit These Slopes for a Fast, 8-Week Ride! From start to finish, Californian Snow Auto only needs 8 rapid weeks to pump out up to 550 gr/m2 of frosty goodness powered by 19% THC. Let it snow, let it snow, let it snow! Black Domina Power, Critical Mass Yield! With that kind of background, you just know Dr Krippling's Choc-Matic is a guaranteed win! Finishes are 80 days or less with massive yields of chocolate-flavoured herb. These Babies Shine - Tons of Crystals! Beginner friendly, indoor friendly & extract friendly, Dizzy Lights Auto has never met a stoner she didn't like! These fast-paced cannabis seeds only need 75 days total. What Gorilla Brained Hero Invented Auto-Flowering Seeds? It is a bit controversial, but most people agree that it was the Joint Doctor who first discovered and developed the original auto-flowering strains. They first made the now legendary original auto-flowering strain: Lowryder, by breeding Northern Lights and William’s Wonder with a mysterious Mexican Ruderalis. Since then it’s all been a bit Gorilla Grade crazy. Now there are a whole bunch of Auto-Flowering seeds as every breeder has sought out how to improve on the original while maintaining its key magical attribute. The Gorilla has been watching. Waiting. Now with its mighty Gorilla hand it has carefully plucked the very best Autos from the now spectacular selection available and presents them to you with glee. Grab Your Auto-Flowering Seeds Now!